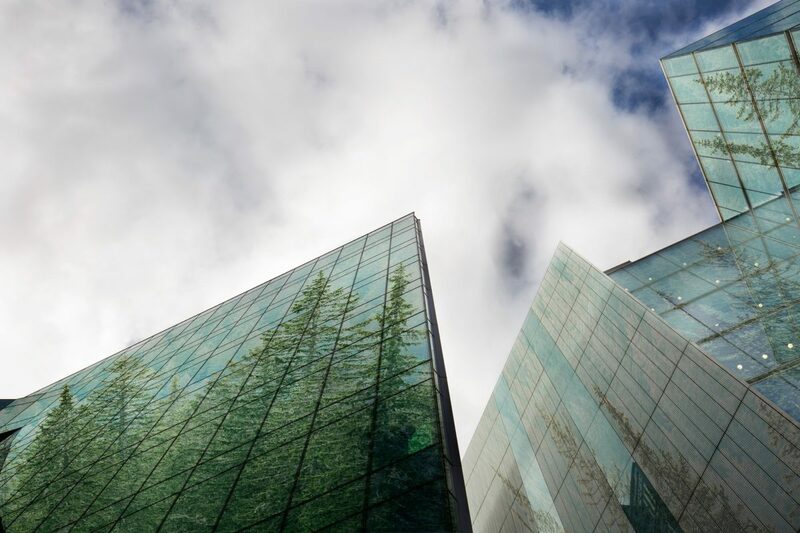 Environmental threats represent a significant liability risk for commercial real estate owners and developers – from those building and managing condominiums to office buildings to mixed-use properties. Unexpected cleanup costs, regulatory fines and penalties, third-party lawsuits, rental income loss, devalued properties and reputational damage are just some of the direct causes of financial loss. Here we’ll take a look at some of the common environmental liability exposures real estate firms face. Real estate assets in an acquisition often involve the transfer of environmental liabilities from one party to another. Sites once used for industrial purposes, for example, can pose a range of unforeseen exposures for owners, occupants and even lenders and investors. Pollutants may be encountered when land is disturbed, which could trigger regulatory notification requirements and cleanup. Exposure to bodily injury claims can result as well, including those related to vapor intrusion which involves the migration of volatile chemicals through subsurface soils and into indoor air spaces of overlying buildings. Older facilities may also contain lead paint or asbestos. Additionally, toxic chemicals that had leaked or been spilled on nearby sites may have migrated onto the new owner’s property over time. Above- and below-ground storage tanks are often used to store potential pollutants such as fuels, heating oil, lubricants and chlorine. In addition, smaller volumes of material such as pesticides, herbicides and cleaning agents are typically stored or used on-site. Any one of these can cause a potential environmental hazard. Property owners should also consider any hazardous materials stocked for sale by retail tenants. Dry cleaners, gas stations, auto repair facilities, and others that may use or store significant quantities of hazardous chemicals can translate into significant environmental risk for property owners depending on the terms of lease agreements. Renovations often take place in one part of a facility while other sections continue to operate, increasing the risk of third-party exposure resulting from spreading contaminants. This may be caused by demolition or removal of materials containing lead, asbestos and other hazardous substances or by vapors or gasses emitted by newly installed materials. The indoor environment can pose significant environmental risks in multifamily apartment buildings. Bacteria such as Legionella and fungi that can be transported through water sources, ventilations systems, and other means also represent serious risks. Formaldehyde from fiberboard, glue or other building materials; nitrous dioxide from gas stoves, space heaters and gas dryers; carbon monoxide from unvented kerosene and gas space heaters; leaking chimneys and furnaces; radon; pesticides; and various volatile organic compounds also can contribute to a potentially unhealthy indoor environment. Office and hospitality buildings have the same indoor environmental exposures of multifamily buildings. Additionally, older buildings may have problems such as toxic polychlorinated biphenyls (PCBs) in hydraulic fluid from elevators. Resorts may have golf courses that use large quantities of fertilizers and pesticides that can contribute to storm water runoff issues. Property owners and developers should identify, evaluate and understand their environmental exposures; review indemnification agreements that apply to those exposures to determine assumed, retained, or transferred environmental liabilities; and structure a sound Environmental Liability insurance program to address their exposures. Most standard General Liability insurance policies exclude everything from the existence of lead or asbestos; surface water run-off, resulting in the spread of contamination to neighboring properties; water intrusion/moisture build up and mold growth resulting from a variety of causes; release by tenants from improper or inadequate storage/disposal of lubricant oils, primer and lab waste materials; and poor indoor air quality leading to “Sick Building Syndrome” among other exposures, just to name a few. Environmental insurance is intended to fill the gap left in a General Liability policy. An Environmental Insurance program can be structured to include coverage for: mold liability and mold cleanup coverage; potentially catastrophic environmental events associated with day-to-day operations; past, current and future environmental losses; inadequate containment, storage, transport, disposal, loading and/or unloading of construction debris, hazardous chemicals or other potentially dangerous materials; and a business interruption loss associated with a pollution event. Coverage can be designed to bolster indemnity agreements for preexisting known and unknown environmental liabilities while protecting new owners from future exposures. An experienced insurance broker will tailor coverage to a property owner’s specific needs. In addition, it’s important to ensure that contractors performing work on the property carry Contractor’s Pollution Liability insurance to help ensure that pollution conditions caused by or made worse by contractors’ activities are covered. Environmental insurance is a vital tool in a commercial real estate owner’s/developer’s risk management plan to prevent potentially catastrophic events from adversely affecting the financial strength of the business. NorthStar specializes in insuring the real estate industry and has the environmental expertise to assure clients are purchasing the coverages most appropriate to their specific exposures from a well-qualified insurer. For a consultation, please call NorthStar’s office at (800) 301-1944 to speak with a member of our team. Environmental, Real Estate Environmental Insurance, Environmental Liabilities, Environmental liabilities for real estate, Environmental Liability Insurance, NorthStar, Real Estate, Real Estate Insurance permalink.